Presentation Books include a Guide section containing information for presenting exercises, correcting mistakes, and administering the pre-skill and placement tests. There is also a Presentation section that contains detailed lessons plans. 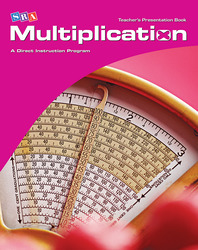 Answer Key Booklets quickly and easily compare students' work with the actual calculations and word problem results.